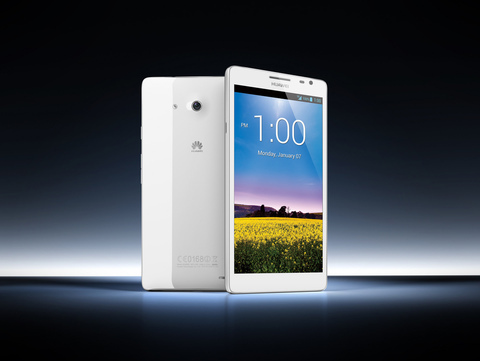 When it was announced Huawei’s Ascend Mate had the biggest screen on a phone so far at 6.1 inches. That size has since been eclipsed by this monster, but if you want a big screen mobile it is well worth looking at then Mate. And the good news is that Vodafone has confirmed today that it will be selling the Mate from later this month. In addition to that huge screen, which incidentally has a resolution of 1280 x 720 for crisp vibrant images, the phone also boasts a speedy 1.5 GHz Hi-Silicon quad-core processor and an enormous 4050 mAh battery which the company says will give two days worth of power from one charge. Other features include Huawei’s Magic Touch technology even enables you to scroll, type and tap without taking your gloves off, an 8.0 megapixel auto-focus rear-facing camera with HDR and 1.0 megapixel HD front-facing camera, dual MIC noise reduction technology, Dolby® sound system and stereo recording. There’s no news on price and full availability yet. Incidentally Vodafone has also confirmed that it will be stocking the Sony Xperia Z Ultra which has a 6.4inch screen.